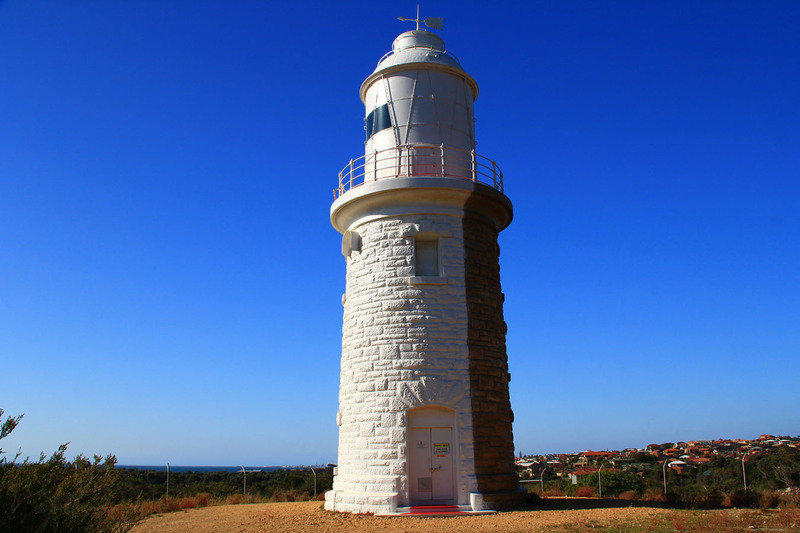 Woodman Point Lighthouse | Lighthouses of Australia Inc. 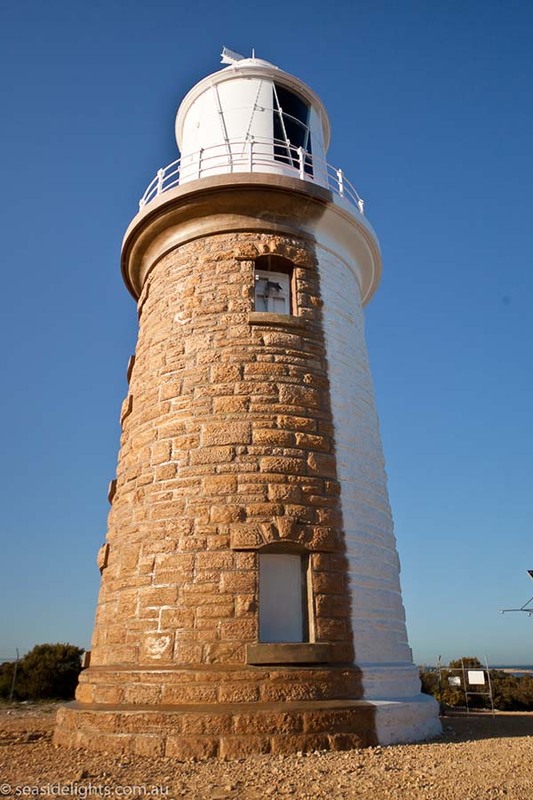 Built as a Leading Light, this Lighthouse replaced the Arthur Head Lighthouse, and provided shipping a safe route via Gage Roads into the newly constructed Fremantle Harbour designed by C.Y. O’Connor. 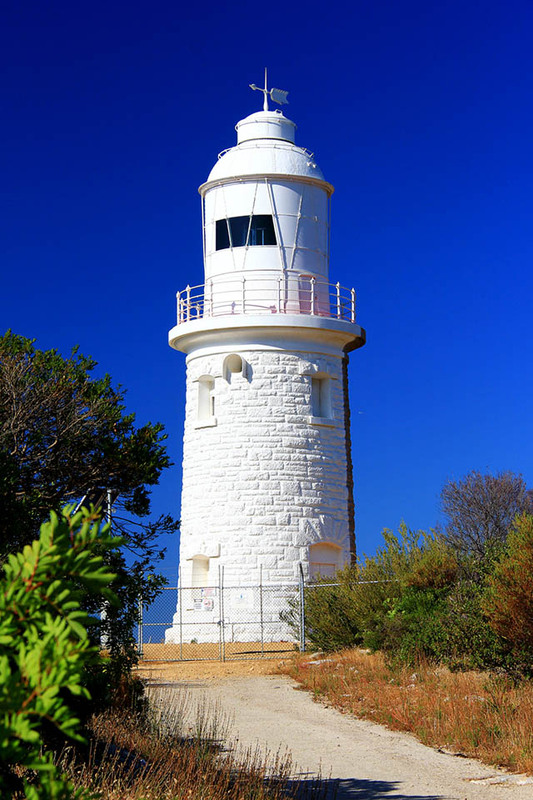 The lighthouse at Woodman Point was also referred to as Gage Roads referring to the shipping lane and anchorage near Cockburn Sound south of Fremantle. This is where the 1987 America’s Cup took place. 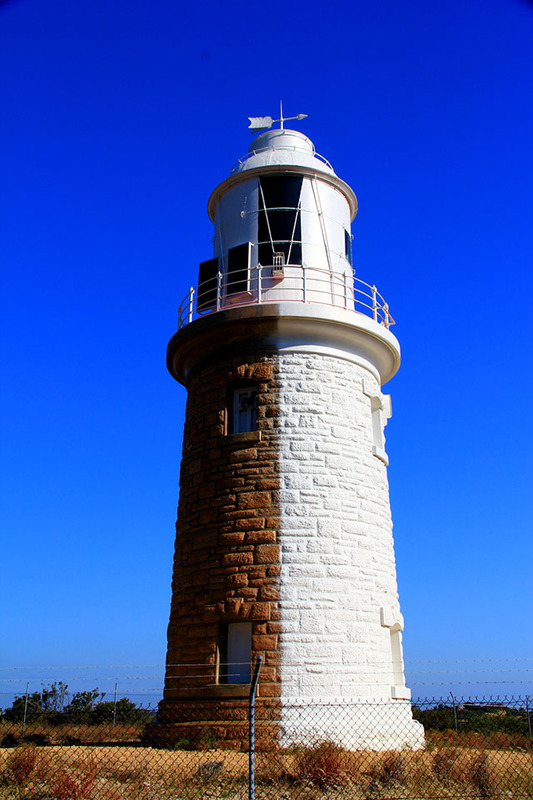 A first order occulting dioptric light was established on a 9.7m stone tower on Woodman Point as a sectored light in 1902. It was demanned and improved in 1921. The Lighthouse Keepers Cottages are now fronting onto a busy road. A dirt track winds up the hill behind the cottages. 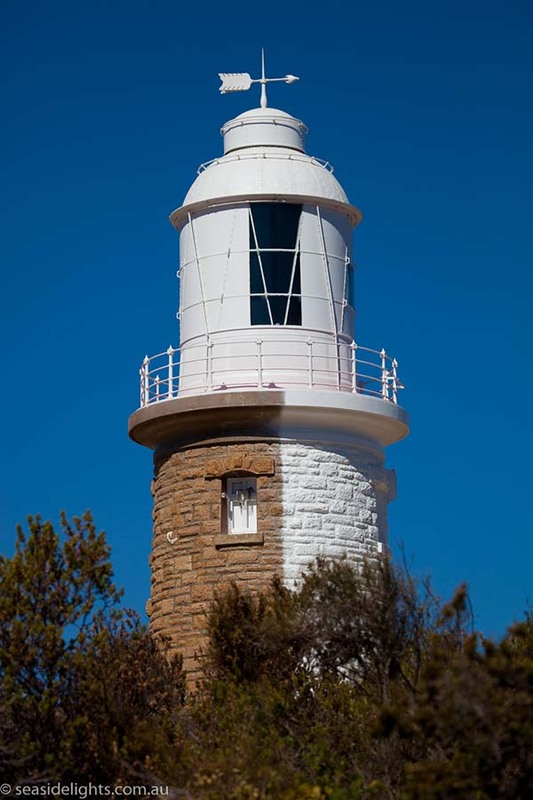 The lighthouse grounds can be accessed by foot. The tower is fenced and is not open to the public.